LISTEN NOW! Greg, John, and Pat remember South African leader Nelson Mandela who died yesterday December 5, 2013 at the age of 95. They continued to share about Nelson Mandela, who is being called South Africa’s greatest son, life and the things he did and suffered for throughout his life. They share how Mandela gave his life to end anti-apartheid and the injustices that were committed to black South Africans although they represented nearly 90 percent of the population. For 20 years his movement was one that began with nonviolence but then according to CBN he took upon a philosophy of armed struggle. “In 1964 he was sentenced to life in prison for planning to topple the government. When he was finally released in 1990 he had a much more tolerant attitude towards his opponents in the government.” Mandela would spend 30 years in prison. Those 30 years he spent in prison transformed him from anger to hope and reconciliation and he eventually became the first black president of South Africa. They continue to discuss the prophetic word given by Kim Clement during the time of Mandela’s imprisonment which spoke of the first black South African President. 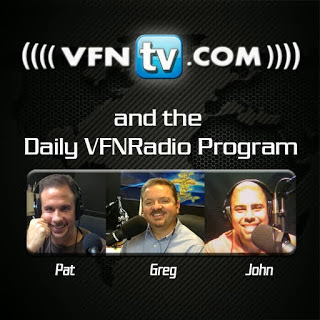 Greg, John, and Pat discuss how “phone Type” prayer booths in Kansas City have reportedly had a profound effect on the reduction of crime in Kansas City. These prayer booths, which resemble phone booths that were so prevalent prior to the wide spread use of cell phones. The prayer booths even include a roll down bar where one can kneel while they pray. “The Christian Post” reports that 100,000 prayers a week are prayed at these booths that have been scattered across the city. According to “Topeka News” some of the booths were installed in inner city areas with high crime rates several years ago, and city data confirms that crime has reportedly reduced in those areas in a proportionate manner to the number of people using the prayer booth.” They continue to discuss how Muslims pray in public all the time and encourage Christians to be bolder in their prayers. Phone prayer booths are a great start. Greg, John, and Pat discuss why parents don’t want children and how come children don’t want parents and why the government is stepping in trying to take over the role of parenting. They continue to discuss a disturbing practice called re-homing. This practice involves adoptive parents seeking how they can “re-home” the child they adopted because they no longer want to parent them. This is a practice that is reportedly being called the “The Child Exchange” and it is being done on the internet. CBN reports “One post from a mother who adopted a Guatemalan 11-year- old “I am totally ashamed to say it but we do truly hate this boy.” They continue to discuss the travesty and how the child is rejected twice. They continue to discuss how many people involve themselves in the conversation of parenting when in fact they have never had children or they aborted the child they did have. To make matters worse the government wants to play a role in the lives of your children yet they want to control how you raise and discipline them. One example they discussed was that of a Judge. If someone in the courtroom refuses to comply with the judge’s instruction the judge will have the person physically arrested put in cuffs and escorted to jail. However, the government wants parents to discuss time out with their children as opposed to giving them the discipline they need. They continue to discuss a group called No Kidding which is an international social club for childfree couples and singles. One of their alleged members said that they were “indifferent” toward children. Indifferent is defined by the dictionary as without interest, not caring, apathetic, and impartial. They continue to discuss how we got here in society where parents don’t want children and if some are honest they hate them. Some pursued having children out of idolatrous reasons for what they can benefit out of having children and once they have them and now hate them it’s their same idolatry that refuses to allow them to go to a loving family who wants them less they look bad for giving up their children. They go further to ask the question if what we are seeing as society’s view towards children a result of the church’s view of winning souls for the Lord. Many in the church won’t win a single person to the Lord in their lifetime. The truth is that it takes time and less of oneself to win the loss. Is the church fruitless because of the idolatry of self? They further discuss the need for Revival to sweep across the country and for a Great Awakening like the previous Great Awakening that have had tremendous spiritual impact on our nation. Dear God, end abortion send revival.